His dramatic southern sound will draw you in, his voice will have you hanging on every lyric and his songs will stick with you like a good friend does. Boo Ray is a southern troubadour who has forged & honed his sound in South Georgia honky-tonks, Gulf Coast jukes, Nashville nightclubs & Los Angeles songwriter joints. Hailing from the mountains of Western North Carolina and now spending equal parts time in Nashville, Tennessee; Los Angeles, California; and Athens, Georgia; Boo Ray is set to release his fifth album. Following in the footsteps of southern songwriters who journeyed to Los Angeles like Jerry Reed, Kris Kristofferson and Gram Parsons, Boo Ray headed out west in 2006 after doing a couple of years of steady troubadour work in the southeast. While living in LA, he worked with Noah Shain on a couple of tracks that ended up on his 2010 Americana release Bad News Travels Fast. 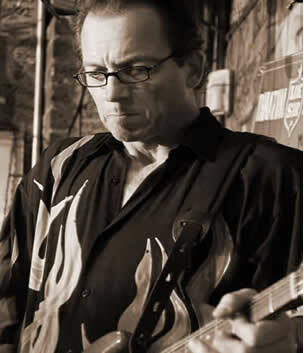 Sol Philcox produced Boo Ray’s 2013 hit outlaw country album Six Weeks In A Motel in Nashville and flew out to Los Angeles to play guitar on Boo Ray’s new album. Noah Shain has masterfully captured Boo Ray’s sound, conjuring a classic Muscle Shoals session; drums stout and close, round hollow bass, guitars growlin’ and warm wailin’ vocals. His vocal style and his voice as a songwriter are powerful, unassumingly sophisticated and uniquely his own. 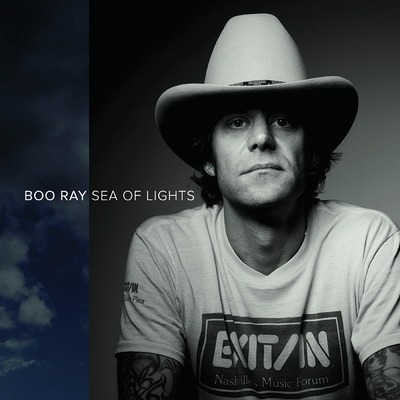 The new Boo Ray album, Sea of Lights, is a songwriter’s champion, a trucker’s sound track and an analog aficionados delight. Shain recorded Sea Of Lights live to 2” tape at his White Buffalo Studio in downtown Los Angeles with an all-star band anchored by Steve Ferrone on drums, Paul Ill on bass, Sol Philcox-Littlefield on guitar, Dallas Kruse on Hammond B3, Smith Curry on pedal steel, and the world-class background vocals of twin brothers Todd and Troy Gardner.